The Champions of "Initial D Arcade Stage 8 Infinity"
The end of temporary driver's license issue in "Initial D ARCADE STAGE 8 Infinity"
Update "Racer Events Schedule" in February 2017. Update "Racer Events Schedule" in January 2017. Update "Racer Events Schedule" in December 2016. Update "Racer Events Schedule" in November 2016. Update "Racer Events Schedule" in October 2016. Update "Racer Events Schedule" in September 2016. Update "Racer Events Schedule" in August 2016. Update "Racer Events Schedule" in July 2016. Partial Replacement of items in "My Slots"
Update "Racer Events Schedule" in June 2016. Update "Racer Events Schedule" in May 2016. About Time Attack Ranking of "Nanamagari / Hillclimb"
Update "Racer Events Schedule" in April 2016. Update "Racer Events Schedule" in March 2016. Update "Racer Events Schedule" in February 2016. Update "Racer Events Schedule" in January 2016. Update "Racer Events Schedule" in December 2015. "Project D Mission Lv. Infinity" Started ! 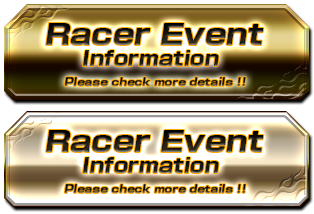 The 1st mission links with Racer Event of the Nov. 2015 ! Update "Racer Events Schedule" in November 2015. Update "Racer Events Schedule" in October 2015. Update "Racer Events Schedule" in September 2015. Update "Racer Events Schedule" in August 2015. Update "Racer Events Schedule" in July 2015. Car Model Release Promotion "BRZ S (ZC6)"
Update "Racer Events Schedule" in June 2015. Car Model Release Promotions "LANCER RS EVOLUTION V (CP9A)" and "LANCER GSR EVOLUTION VI T.M.EDITION (CP9A)"
Update "Racer Events Schedule" in May 2015. Partial Replacement of items in "My Frame Slot" and "Title Slot"
Car Model Release Promotion "SKYLINE 25GT TURBO (ER34)"
Update "Racer Events Schedule" in April 2015. Re-update "Racer Events Schedule" in March 2015. 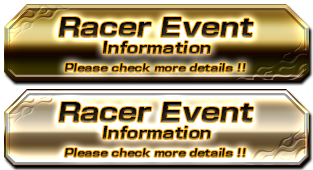 Partial Replacement of items in "My Character Slot" and "Title Slot"
Update "Racer Events Schedule" in March 2015. Update "Racer Events Schedule" in February 2015. Update "Racer Events Schedule" in January 2015. Update "Racer Events Schedule" in December 2014. 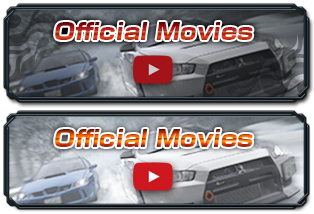 Car Model Release Promotion "LANCER GSR EVOLUTION VI T.M.EDITION (CP9A)"
Update "Racer Events Schedule" in November 2014. Update "Racer Events Schedule" in October 2014. Initial D ARCADE STAGE 8 Infinity starts operation one after another from September 18, 2014 ! !